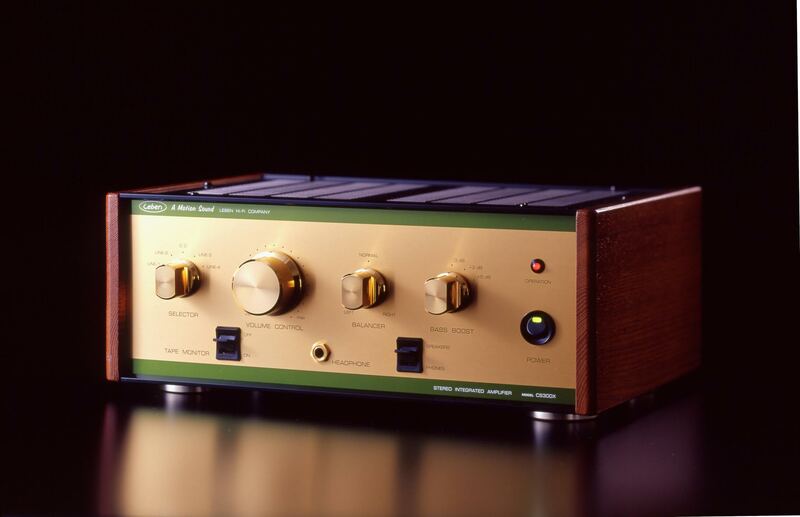 THE FIRST TIME I ever encountered a Leben amplifier it made a huge impression on my then still impressionable mind. This happened some years ago at Turned On Audio in the badlands of Auckland’s Onehunga. The Leben CS600 was mated with a large pair of Harbeth loudspeakers, a VPI Classic turntable and some ridiculously expensive phono stage with about a million glowing valves. No wonder my tiny mind was blown to smithereens. The pin-sharp life size images, the solid, hefty bass, the sheer expanse of the sound and the gripping sense of pace and rhythm was truly jaw-dropping for me at the time. I’d heard other amplifiers in the shop with the same components and been suitably wowed, but the Leben had that something special which really appealed to me. It was also the first time I’d heard Count Basie’s wonderful Basie Jam LP and I’ve since used that record and my memory of that first experience as a kind of benchmark for my own subsequent home audio fumblings. Alas, I have yet to own a Leben, but my good friend and fellow music enthusiast James bought himself a CS600 not long after, and so I’ve become nicely familiar with the sound and heard it with several different speaker and source combinations. In the home environment, the CS600 presents an even more expansive sound – wide open, if you will – with breath-taking imaging and highly engaging musicality. At around $8K, the CS600 is within the realms of affordable high end, but for those who can’t quite justify the expense Turned On Audio, the sole New Zealand importer and retailer of Leben, offer a couple of less expensive entry level models from this eminent Japanese company, the CS300XS being one of those. The CS300XS – an update of the CS300-X – is a real little work of art to behold. As a visitor to the house commented, it was a little piece of jewellery sitting there in my cabinet. With its lovely hardwood side cheeks, gold and green faceplate and big gold control knobs, it has, like its siblings, a distinctly vintage look, and even if vintage gear doesn’t appeal to you, I’m sure the Leben will have you beaming with pride of ownership. At about 36cm x 27cm x 14cm (W x D x H) and weighing 10.5kg, this beautifully constructed amplifier is relatively compact and while it doesn’t take up too much room, you’ll need to give it plenty of space around the top because it does get quite hot. Inside and hidden by the solid top plate you’ll find a quad of the audiophile favourite Sovtec EL84 power tubes and a pair of Sovtec 12AX7 driver tubes – these are auto-biasing so you can keep your little audiophile screwdriver safely in its drawer. The EL84s boast a high input sensitivity which means the circuitry can be kept relatively simple and if you have a look underneath you’ll see a nicely laid out bunch of high-grade components, all with point-to-point soldering. The CS300XS will give you 15 watts of power per channel into a user- selectable choice of 4, 6 or 8 ohm loads (via sturdy WBT type speaker binding posts) and while that may seem for the uninitiated like a low power output, paired with efficient speakers this is actually loads of power. Besides, I’m convinced it would take a lot more solid state watts to beat any number of valve watts, but that argument’s not for here – though I will say that my Reference 3A floorstanders with a modest rating of roughly 90dB into 8 ohms were an excellent if not technically ideal mate for the wee Leben. As Neil Young from Turned On Audio said, the CS300XS and a pair of 99dB Klipsch Heresys would be a wonderful combination. 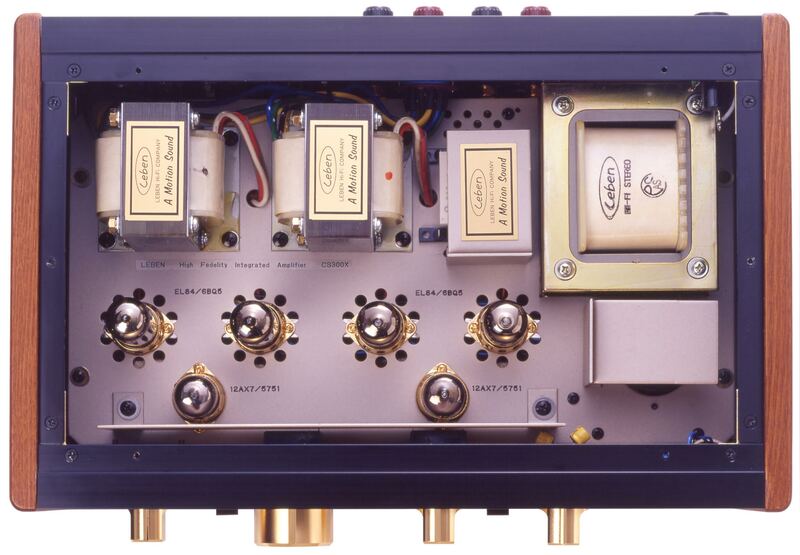 The CS300XS has 5 line-inputs, the usual selection and these are all RCA only. There is no phono input but Leben offer a very good separate phono stage for vinyl enthusiasts. There’s also a tape monitor, balance control, a switch to select between speakers and the rather excellent headphone output and, possibly my favourite feature, a bass boost selector which gives users the option of boosting the bass response by 0, +3 or +5dB. I found that I listened almost exclusively with the bass set to +3 as it meant I could listen at lower volumes and still get a decent bass experience (I suspect this is the function’s main intention) unlike my own amplifier which almost invariably needs to be cranked up to get the full bottom end effect. A power cable is supplied but there’s no remote control, which is no bad thing as the CS300XS is a pleasure to operate on a physical level. Oh, and I must mention the aroma. Once warmed up the Leben exudes a nostril pleasing industrial stench, not overpowering but not exactly subtle. Unfortunately, I suppose the smell will eventually burn away completely. Along with the aforementioned Reference 3A speakers, I plugged into the Leben my beloved customised Lenco L75 turntable with its Analog Instruments tonearm, EMT TSD-15n MC cartridge, Auditorium 23 step up transformer and Fi Yph valve phono stage. For digital I used my MHDT Labs Stockholm DAC and the excellent Metrum Acoustics Pavane DAC fed by my laptop – the hard drive of which soon crapped out completely, hence the subsequent long delay in getting this review out. The CS300XS powers on beautifully, following a 10-second delay which allows the valves to warm up, clicking on without noise. There is only minimum transformer hum and almost no hiss emanating from the speakers. This is indeed a sweet sounding little amplifier. It gives a lovely clear presentation with great tonal character and pleasant insight into musical performances. Listening to the likes of funky Rokia Traore and jazzy Lisa Ekdahl, the vocals were vivid and nuanced with a natural air albeit without being overly explicit. Their respective musical accompaniments were richly rendered with great tone and rhythm while basslines were solid and concise. While noticeably lacking the CS600s wide-open presence and rock solid imaging, the CS300XS still managed to fill my medium sized room with sound with little effort, while still giving out that rich valve fluidity and lush charm. It has good pace and rhythmic agility, if not quite up there with the very best/more expensive, and I enjoyed the way expressive and tonal qualities of individual instruments were portrayed. Guitar strings, wooden bodies, drum skins, brass and woodwind; with lovely harmonics and gorgeous timbres, it was all a pleasure to listen to. 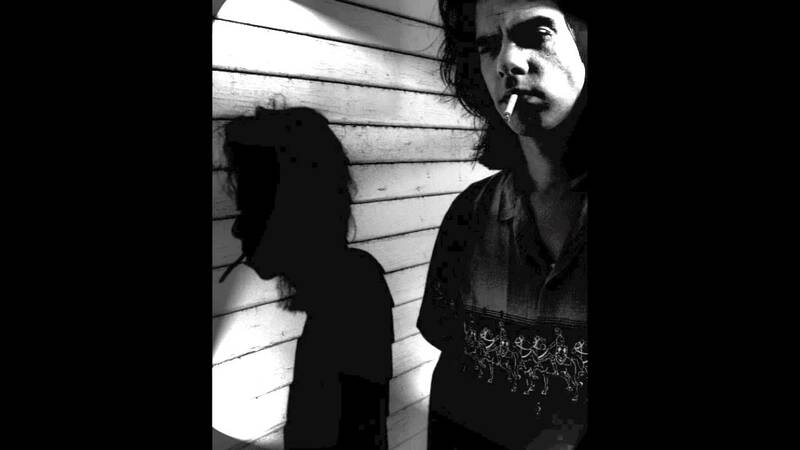 Nick Cave and the Bad Seeds’ ‘Red Right Hand’ came on with pleasing urgency. From that first strike of the bell it thundered into life with impressive momentum, and the soundscape was big and alive with a rich abundance of sounds – organic swirls of organ, thunderous timpani, the swiftly driving rhythm section and Cave himself glowering from out of the void. 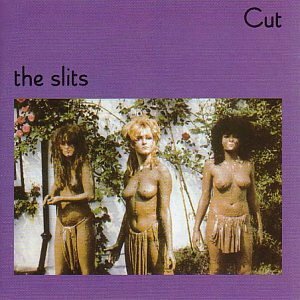 Similarly, The Slits’ magnificent record Cut sprang into existence with the Leben recreating the feverish reggae-dub rhythms and punky vocals with a firm and expressive hand. The late Ari Up’s vocals were convincingly conveyed: yowling, strutting, haranguing and teasing and the dub beats dealt out by the rhythm section sounded tight and suitably manic. The drummer on this record, incidentally, is none other than the legendary Budgie. I met him earlier this year at the WOMAD festival after his performance with John Grant and he’s one hell of a nice guy as well as being an incredible drummer. Some of the heavier stuff I like to listen to, such as early Black Sabbath, Bongzilla, Valfader, et al lacked the sheer visceral impact when played through the Leben. The sting, the gutsy crunch, the blistering riffs and blast-you-back-in-your-seat power wasn’t quite there and I suspect more efficient speakers probably won’t entirely resolve that situation. The more casual enthusiast of the genre is likely to be quite satisfied but the real die-hard head banging, moshing bogans amongst you are likely to want more balls. All in all, the CS300XS drove my Ref 3As with absolute ease, even at high volumes and the majority of my music sounded just lovely. I found myself often not bothering with the “listening position” – the sweet spot – or listening to imaging, soundstage and all the usual audiophile guff and rather just lying about any old where, sprawled languidly on the couch adjacent to the speakers (gasp!) or on the floor or even in the other room. Why? Simply because the way music flowed with fluid and organic abandon from the Leben meant it could be appreciated from any angle. Whatever I was doing or wherever I was, the CS300XS made music a wonderful experience. I would like to say for the record that I wonder what these people had stuck in their ears. (Those complainers in the paragraph-before-last, that is). For me, the Leben has just the right amount of those aforementioned qualities, combined with a certain finesse and clarity of its own, to be wholly satisfying and appealing. What it does is put the focus back on what this hobby is all about: the music. Even recordings of lesser quality sounded appealing. When properly mated with good quality components, the Leben will sing admirably. The full-bodied and organic sounding EMT cartridge was a superb match, and for those who are a little more budget conscious, something like a Denon 103R cartridge (oops, another confoundingly divisive piece of hi-fi equipment) would be an excellent alternative. On the digital side, the near-vinyl-like Pavane was another excellent match and the much cheaper Stockholm was a winner too. For the simple love of music itself and all of its basic accoutrements – tones, harmonics, melody, et cetera – this amp is a little stunner, the comfort food of amplifiers if you will. If you want to bring a good helping of valve goodness to your music, then Leben’s CS300XS is a great place to start. Add top class source components and the very best speakers you possibly can and you’ll have a cracking system to be proud of for many years. Thanks for the great review Andy! If I can add one thing though, on suitably sensitive (sensible) speakers, the little Leben can melt your face off with heavier stuff! Neil, do you have any specific recommendations for suitable speakers? Any time you’re planning to demo some melt-your-face off heaviness, please let me know! “The Slits”! Love it 🙂 This is on my top list of amps…..so gorgeous! The Omegas we sell go brilliantly with it. Listening to that combo right now! Melting heaviness is always on offer at Turned On Audio…. much to Paul’s chagrin. Thank you for the nice and engaged review. I like the little Leben driving Sonus Faber Minima (Vintage) …. may I ask with which Unison you compared the Leben? I know this a late comment. Use it with living voice IBX/OBX speakers 94db sensitivity really easy to drive and stunning sound.